Line a large rimmed sheet pan with aluminum foil or parchment. On the pan, toss the fennel and onion with the olive oil and a big pinch each of salt and pepper. Spread the vegetables evenly and roast until tender and browned at the edges, 20 to 25 minutes. Push the vegetables into a pile to make a bed for the salmon. Nestle the fillets on top of the vegetables, spaced evenly apart, drizzle with a little oil and season with salt and pepper. Roast until the salmon is just cooked through, 10 to 12 minutes. Meanwhile, in a medium bowl, combine the parsley, pistachios, lemon zest, and garlic to make the gremolata. 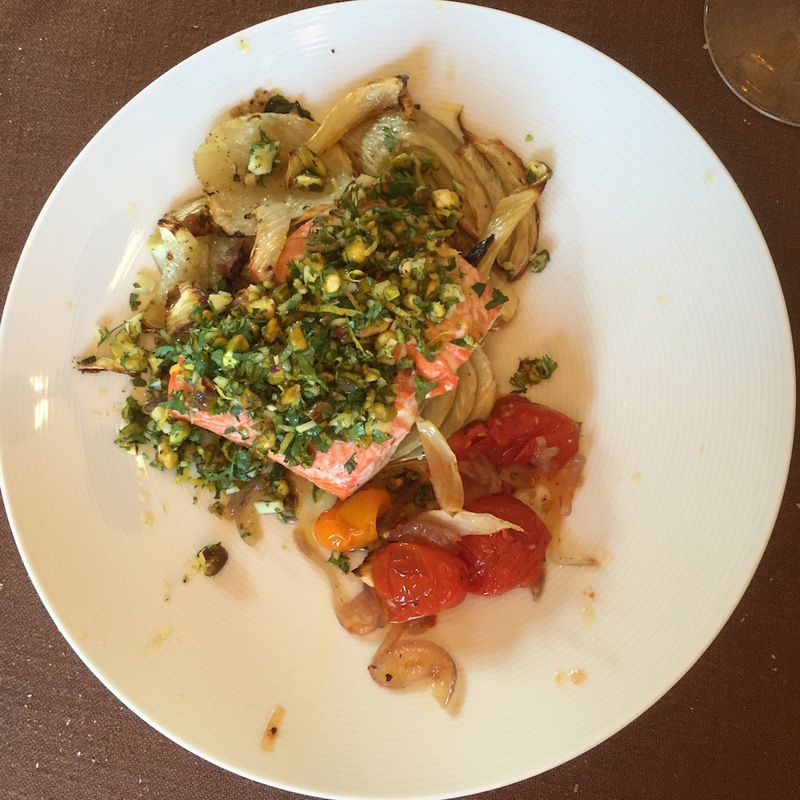 Serve the salmon and vegetables topped with the gremolata and a sprinkling of sea salt.